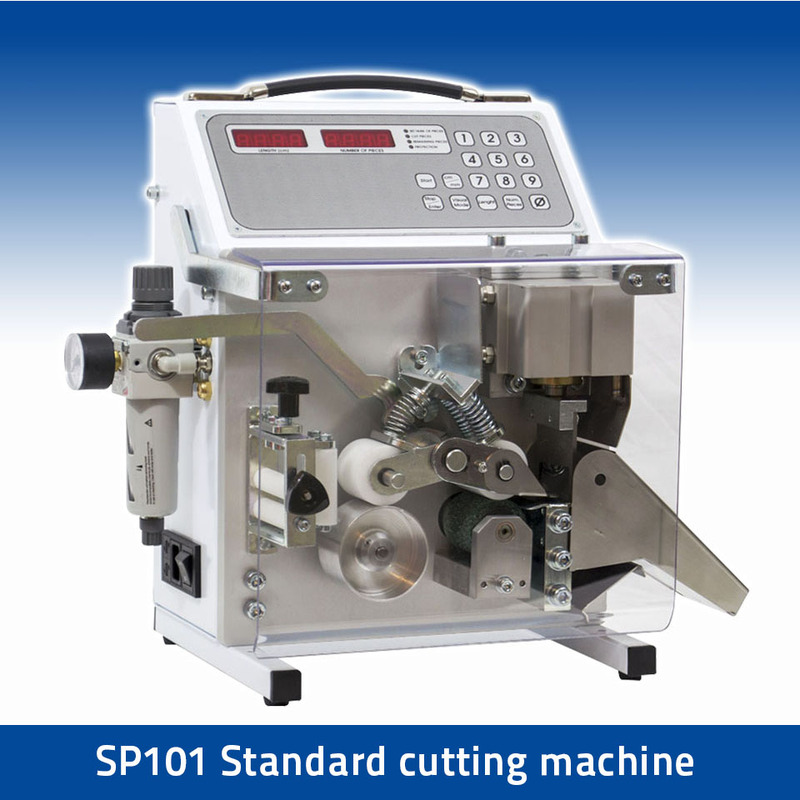 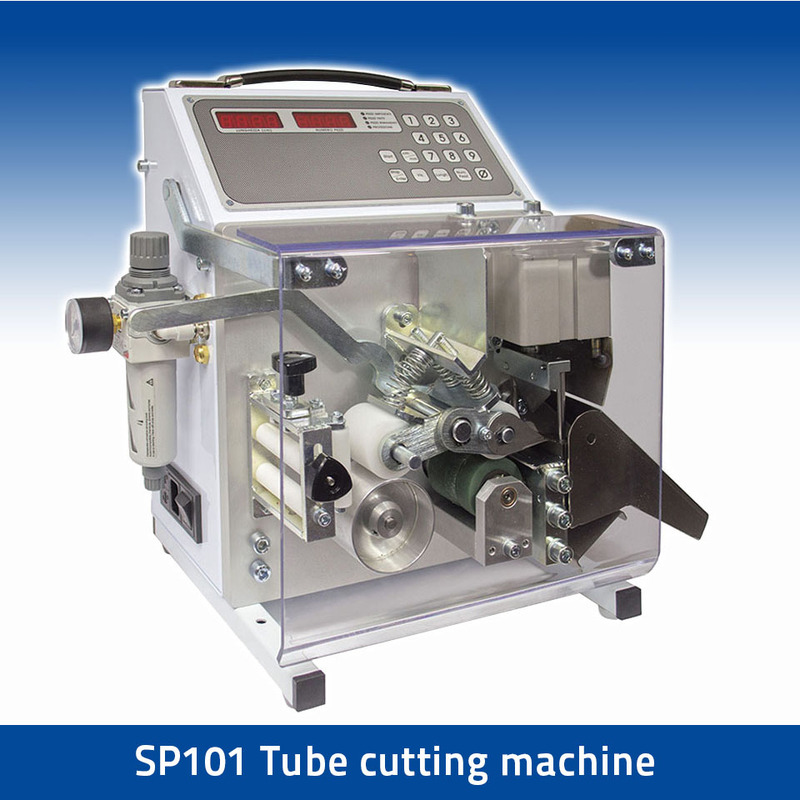 The SP101 STANDARD CUTTING MACHINE is equipped with a tempered steel blade, a guillotine cut and a cutting aperture of 50x20 mm. 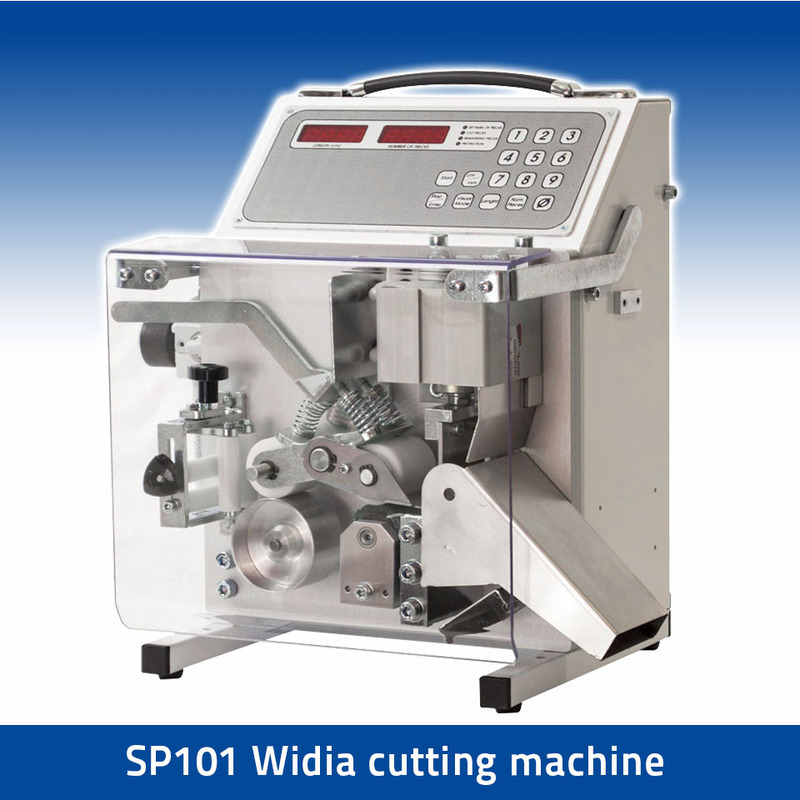 The SP101 WIDIA CUTTING MACHINE is equipped with a tempered steel blade fitted with a widia plate, a guillotine cut and a cutting aperture of 50x20 mm. The SP101 V-blade cutting machine is equipped with a tempered steel blade, a guillotine cut and a cutting aperture with a maximum width of 50 mm and a maximum height of 20 mm. 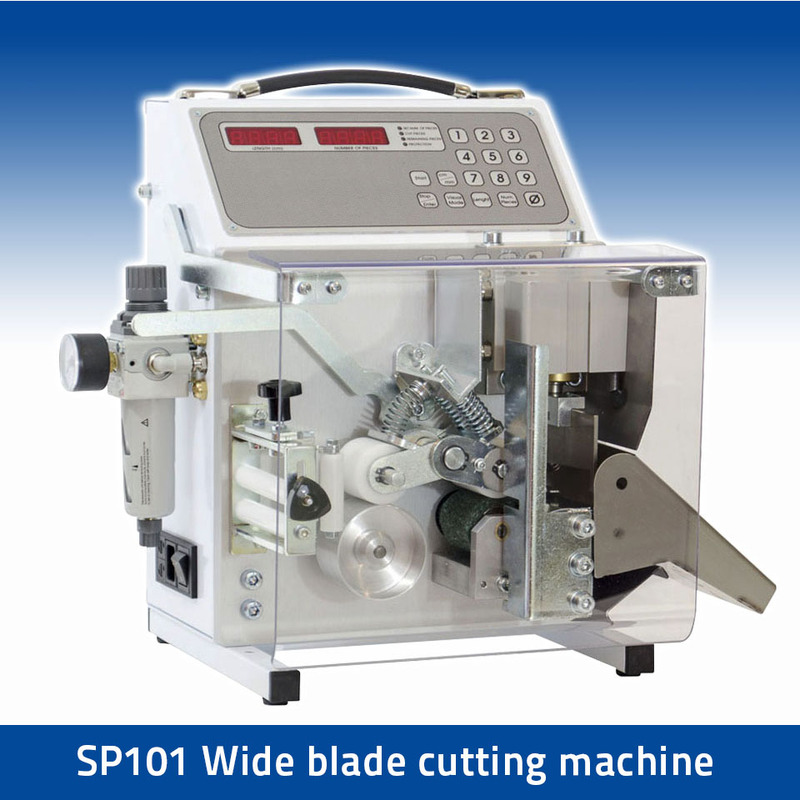 The SP101 WIDE BLADE CUTTING is equipped with a tempered steel blade, a guillotine cut and a cutting aperture of 85x20 mm. 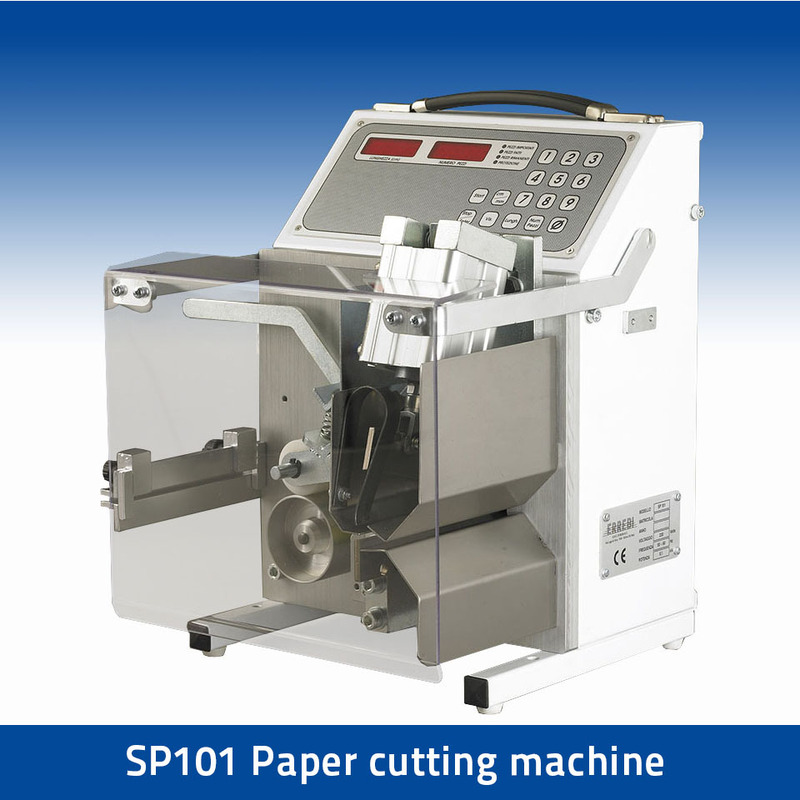 The SP101 PAPER CUTTING MACHINE is equipped with a tempered steel blade, a scissor cut and a cutting aperture of 2x150 mm. 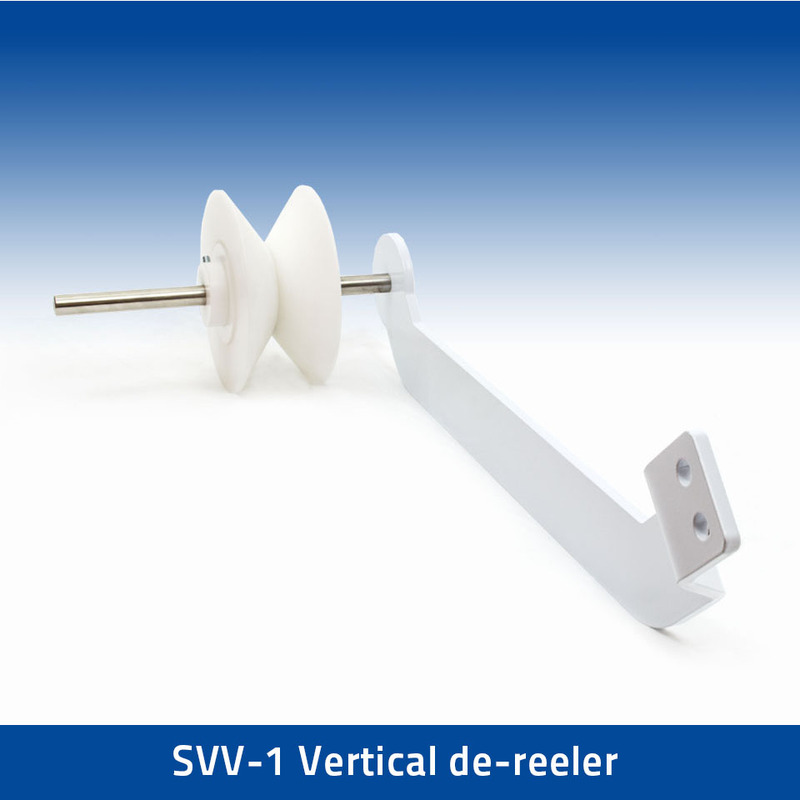 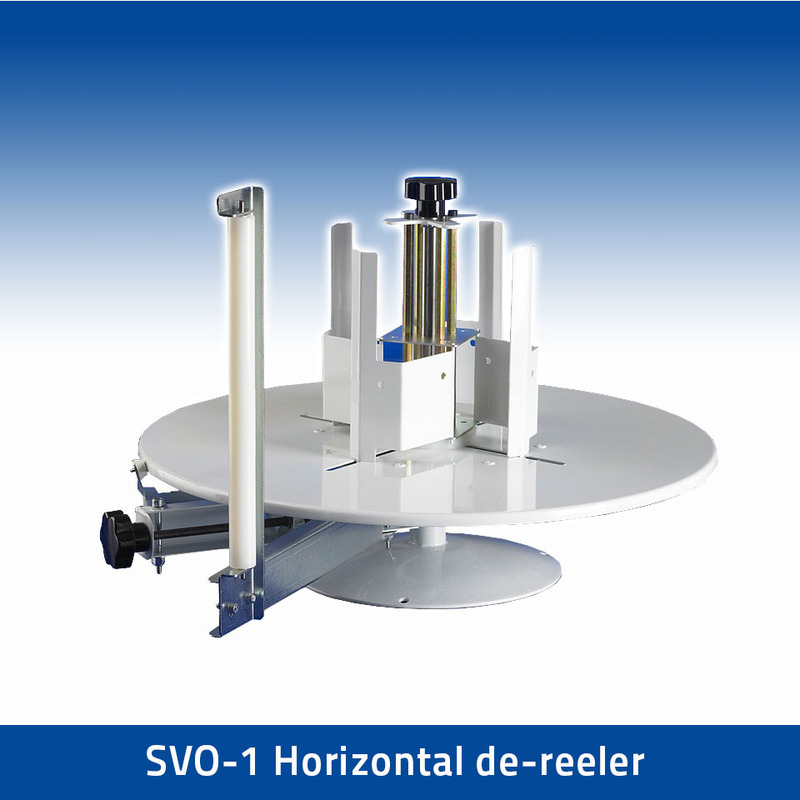 The SVO-1 HORIZONTAL DE-REELER has been designed as a support tool for the cutting machine.